A rich cream gloss finish on this slab door lends a softer look than white and still creates a feeling of brightness in the bedroom. Dress with matching end panels or choose a complementary slab panel in another colour. Doors available for 400, 450, 500, 800, 900, 1000mm and corner units. Open frame doors available for 500 and 1000mm units, you have the flexibility to provide your own choice of glass or mirror. 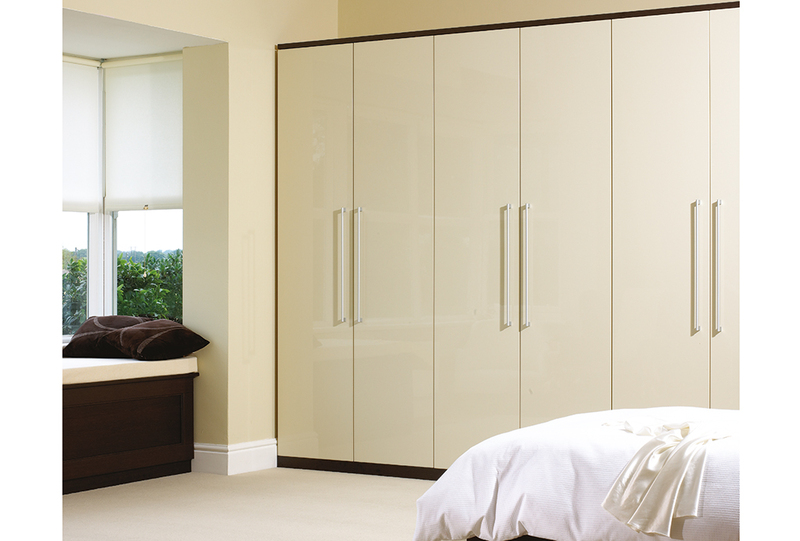 Drawer & Door combination available for 900mm units with your choice of solid or open frame doors. Matching drawer frontals available for all sizes.